In both cosmetology and barbering, you will be working a lot with hair. Cutting, styling, and coloring hair are all things that you will get to do a lot of regardless of whether you choose to become a barber or a cosmetologist. 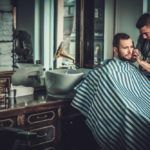 Depending on what you choose, you will learn a few different techniques that are specific to either barbering or cosmetology. For example, in barbering school you will learn about facial grooming, shaving, and razor design which are not focused on as much in cosmetology. On the other hand, cosmetologist students may learn more about men’s and women’s cuts, hair design, and hair color. So, whichever you choose will have its own focuses and advantages. No matter what, you will have to go to a school to learn and get experience. In both cosmetology and barbering you have to learn about sanitation and safety practices in order to work safely. You also have to learn about good business practices like marketing and client retention to help you make customers happy and coming back for more. The hour requirement to get your certifications in California are a little bit different. Barbering requires 1500 hours while cosmetology requires 1600. This means you can complete your barbering hours in as little as 11 months, but cosmetology will take you at least 12 months to finish. Either way, you could be working and making money long before your friends who are going to a traditional four year college! Both barber and cosmetologists can find fun and rewarding careers after graduating and getting their certifications. A wide variety of employment opportunities exist for both as well as the potential to start your own business and be your own boss. 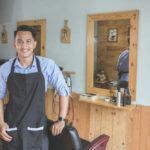 This may be obvious, but barbers will probably find more jobs in barber shops while cosmetologists will find the most jobs in salons. In either case, when you find the right place, going to work can be something you look forward to instead of dread! Hopefully some of this information helped you decide whether barbering or cosmetology is the right path for you to pursue. If you feel like you need more information about each program, you can check out American Beauty College. We offer both barbering and cosmetology programs that you can learn more about. You can also contact us and ask any questions that you may have. Now that you have the tools you need to make the decision, don’t wait another minute! Begin your future today. Schedule a tour of our campus and start your journey to a great career. We can’t wait to hear from you!